Not only do Americans gain weight during the holiday season, they also waste and dispose of a lot of food. As many people pledge to exercise more as part of their New Year’s resolutions, I pledge to waste less food. Estimates of how much food is wasted by Americans range from 33% to 50% depending on the source. Getting food from the farm to our fork eats up 10 percent of the total U.S. energy budget, uses 50 percent of U.S. land, and swallows 80 percent of all freshwater consumed in the United States. Yet, 40 percent of food in the United States today goes uneaten. This not only means that Americans are throwing out the equivalent of $165 billion each year, but also that the uneaten food ends up rotting in landfills as the single largest component of U.S. municipal solid waste where it accounts for almost 25 percent of U.S. methane emissions. Reducing food losses by just 15 percent would be enough food to feed more than 25 million Americans every year at a time when one in six Americans lack a secure supply of food to their tables. Increasing the efficiency of our food system is a triple-bottom-line solution that requires collaborative efforts by businesses, governments and consumers. The U.S. government should conduct a comprehensive study of losses in our food system and set national goals for waste reduction; businesses should seize opportunities to streamline their own operations, reduce food losses and save money; and consumers can waste less food by shopping wisely, knowing when food goes bad, buying produce that is perfectly edible even if it’s less cosmetically attractive, cooking only the amount of food they need, and eating their leftovers. Living hours from the closest health food store, we have to shop in quantity to minimize trips to town. This can be tricky, but fortunately our garden pulls us through most of the year. I’ve always thought it would be easier to waste less food if we lived closer to a store, as more frequent trips would mean smaller purchases. The Ozonator, known as the Green Refrigerator Machine™, is THE eco-friendly, time and money savings refrigerator solution for the 21st Century. Eliminates all odors in the refrigerator, i.e. : fish, garlic, onions, etc. 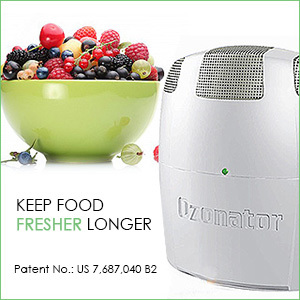 Keeps Food Fresher, Longer by delaying mold and decay of your perishable foods – including fruits and vegetables – helping them to retain their freshness and flavor longer. 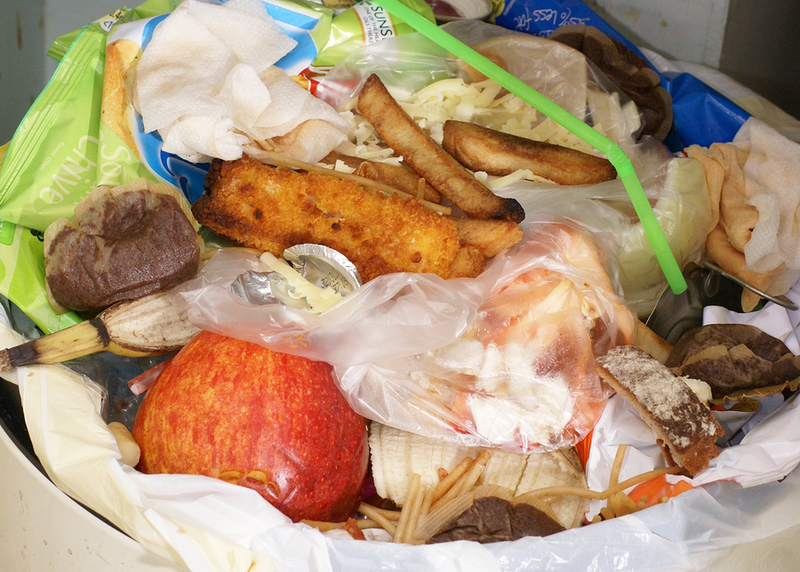 Did you know American families waste over 180 pounds of spoiled fruits, vegetables and leftovers a year. According to a study by the National Resources Defense Council for a family of four, that adds up to about $2275 of wasted food a year. Combined, that is over 40% of the food produced and an annual cost of $165 billion lost in squandered dollars, enough perishable trash to fill a football stadium daily. We need to reduce the wasted food in our society not only for personal financial reasons, but in order to alleviate social problems associated with hunger, as well as climate change.